Let’s explore just how Lead Guerrilla works: When a new visitor comes to your website they are simply an IP address, nothing more, perhaps augmented by some general geographic data. With luck they view multiple pages on your site and ideally they choose to complete a contact Form of some sort. This form collects their name and email address and perhaps a few more items – and once the form is submitted you now know their name and can link their past activities with that name. 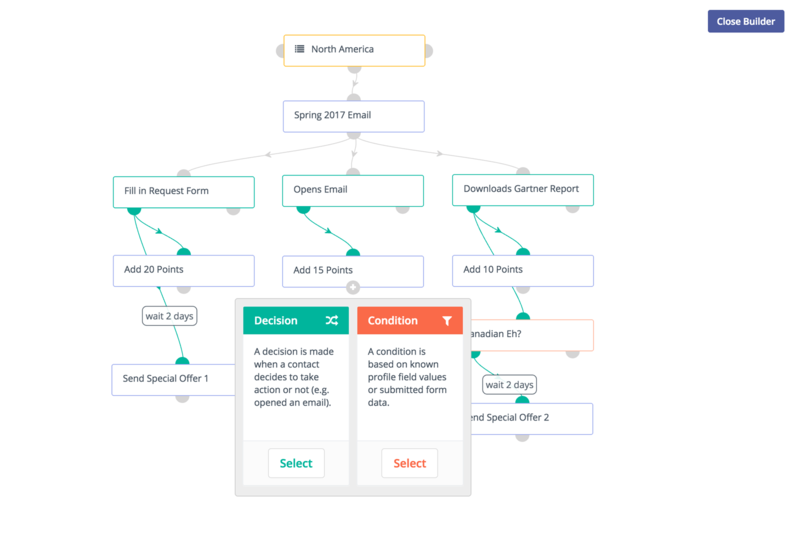 Typically you might create a Segment to organize all new contacts from a particular form, and enroll them in a marketing Campaign designed for prospects with specific requirements or interests. These campaigns are capable of multi-channel communications – across email, text messages, Twitter, and web notifications. Communications can be set for specific times of day, or based on time elapsed after user actions. You design the logic to match exactly how you’d like your business to interact with clients. Did they visit this web page? Fill in this form? Open this email? Mention us on Twitter? Lead Guerrilla constantly checks these Conditions, takes the appropriate Decisions, and performs the right Actions. 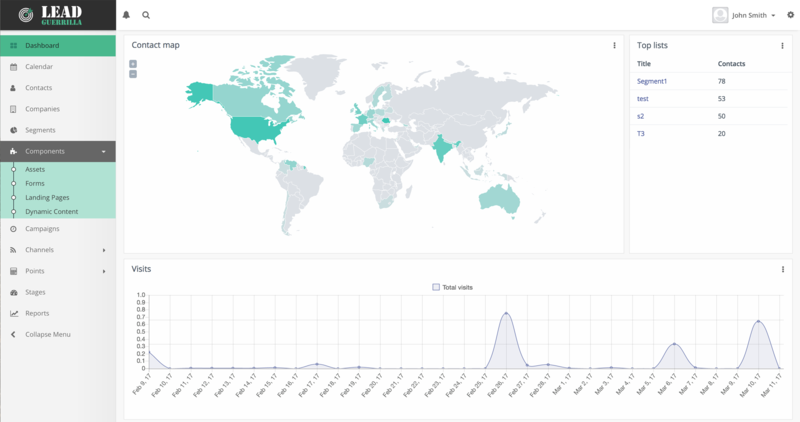 Lead Guerrilla accumulates more information and activity history on each contact as time goes on, and can award Lead Scoring points for various actions. 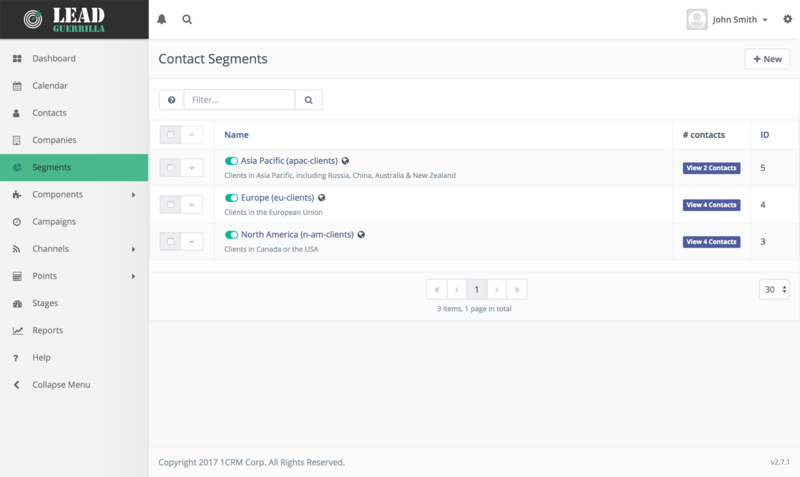 Particularly hot contacts can be segmented, sync’ed to 1CRM and flagged for direct contact. That’s marketing automation. Simple. Powerful. Profitable.